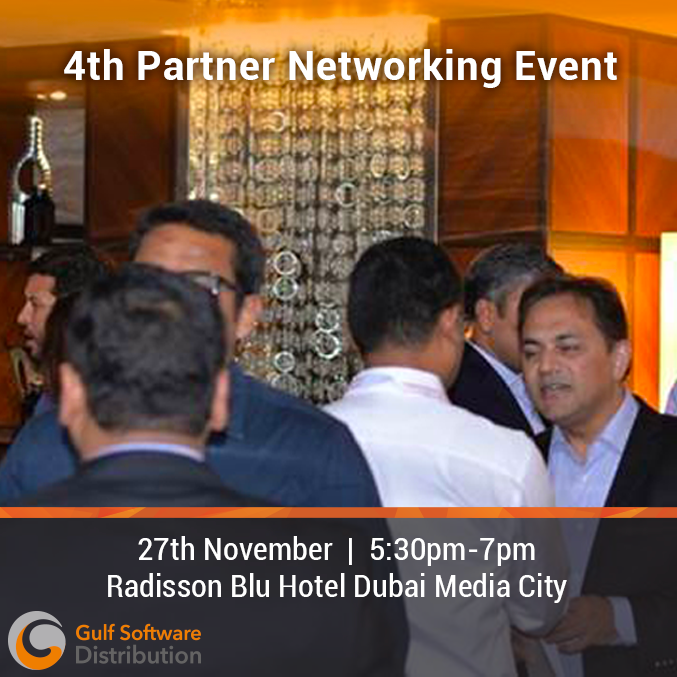 Gulf Software Distribution is delighted to invite you to join our 4th Quarterly Partner Networking event. The event will take place on the 27th of November, from 5-7pm at the Radisson Blu Media City in Dubai. Don’t miss our last gathering of 2018, where you will hear the latest news from our recently signed cybersecurity vendors Cloudflare, Smoskescreen and Stealthbits, as well as get first-hand updates from IBM.